Your big efforts finally paid off and you just stepped on a very important corner stone to shape your lives, University. I sincerely congratulate you for your important accomplisments as I welcome you to our beautiful city and to one of the most fundamental universities in Turkey, the Uludağ University. 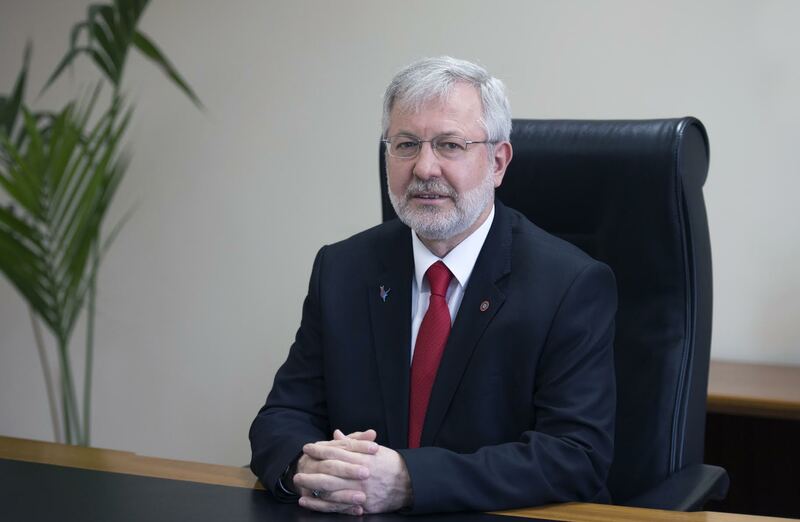 I believe that you will see the advantages of being a part of a steadily improving institution even after you graduate, through the “3rd generation university” vision that Uludağ University has. As you get educated by elite academics, you will experience the wide and unmatchable natural treasures of our city as you study in a university that I’m proud of being one of the first graduates. We’ve prepared the superior university environment that lets your independent thoughts break free while encouraging you to be different in your social and cultural activities and helping you discover “YOU” within variaties of self-improvement opportunities. University is the center of science and liberalism. Read articles, do researches and observe. Widen your meaning of life! The best tip I can give you is to avoid prejudgement and acceptance without questioning while staying away from harmful habits that can affect your lives badly. Your top priority should be focusing on the lessons and exams that will certainly pay off through your lives in order to train yourselves the best. The rectorship and all staff in this institution are prepared to fullfil their duties for your peace, safety and quality education. I request you to contact us about all your opinions and thoughts and any feedback. I want you to know that you’re always welcome to our door. I wish you a succesful and happy semester with my love and respect.